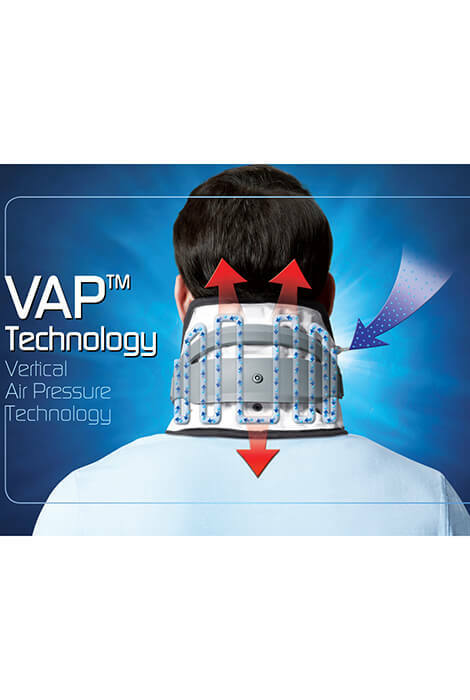 The Disc Disease Solutions Spinal-Air Decompression Collar provides drug-free pain relief while still allowing you to be mobile. By increasing the intervertebral disc space, pressure applied on the nerve root is relieved, thereby, eliminating pain while assisting active-rehabilitation. 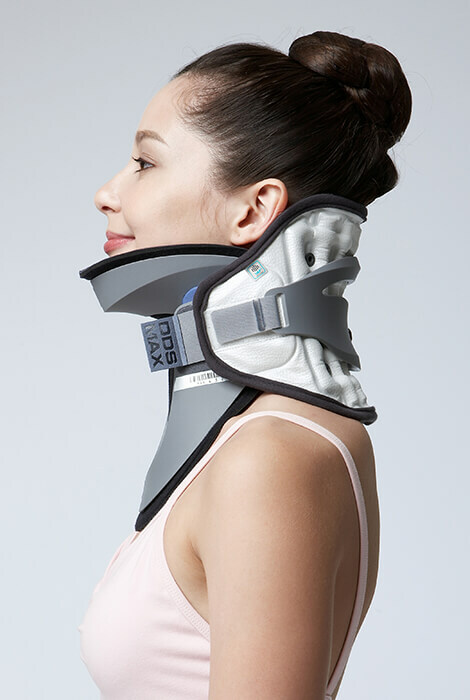 Neck decompression at home reveals promising results for the future, and effective management of patients with all types of disc disease and spinal injuries. 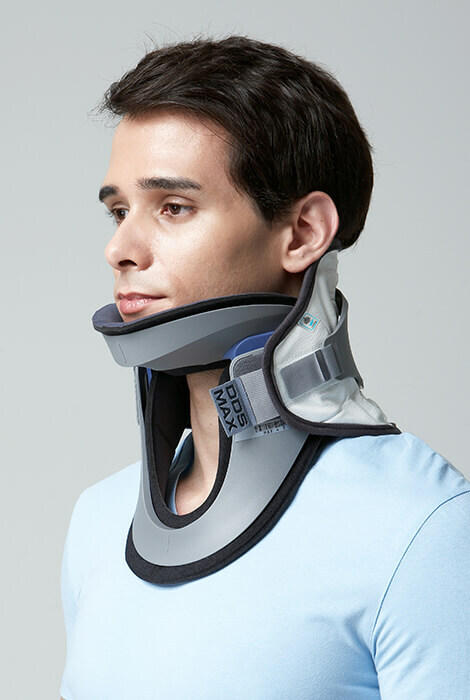 This inflatable neck traction collar will speed up your recovery and help you enjoy the daily activities that were once too difficult. 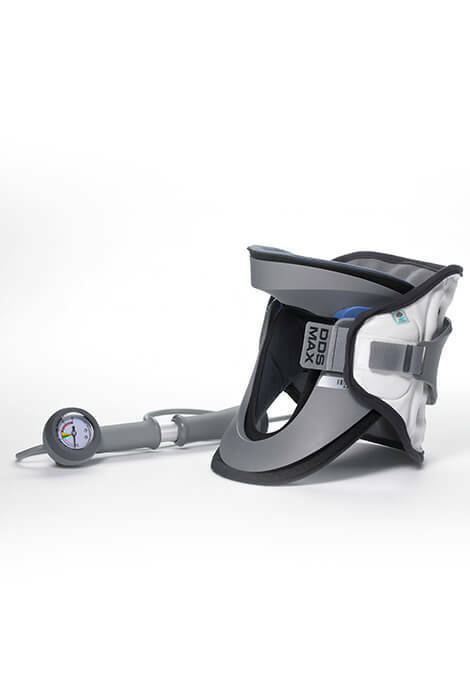 Spinal decompression is created as the DDS MAX inflates vertically with air. Gently pushes upward on the occipital bone and down on the upper shoulder. This creates a chin-tuck sensation and decompresses the cervical spine. Relaxes muscle spasms, May reduce need for pain medication. Ambulatory, very light and comfortable. You can take it to work or on vacation! Pressure applied on the nerve root is relieved, reducing/eliminating pain.